Situated on a narrow peninsula in Finland, between two bays and the harbours of Västerhamn and Österhamn, is Mariehamn. The charming capital of the Åland Islands is the home of over 11,000 residents. 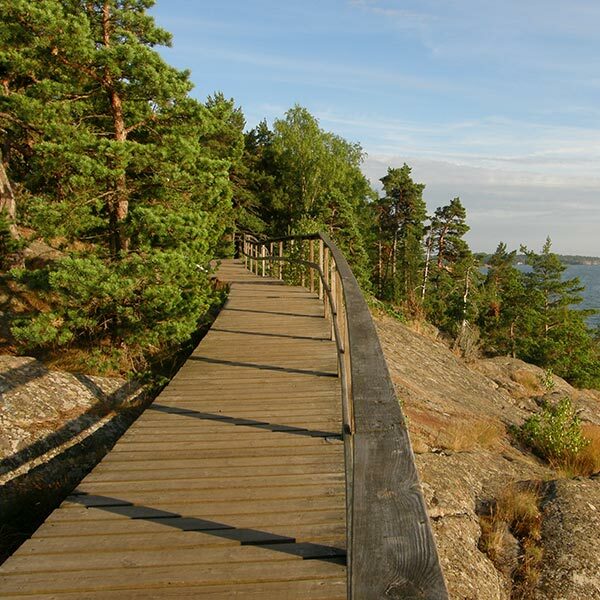 Mariehamn offers you a rich history and a charming centre including many eateries and stores. Attractions include Åland Maritime Museum, Lilla Holmen and Badhuset Mariebad. Take a break from the rush of daily life, because cheap flights to Mariehamn are now available for a limited time! Mariehamn is the home of the Mariehamn Airport (MHQ), which is a 10-minute drive from the centre of the city. Mariehamn was founded way back in 1861 as part of the former Russian Empire. 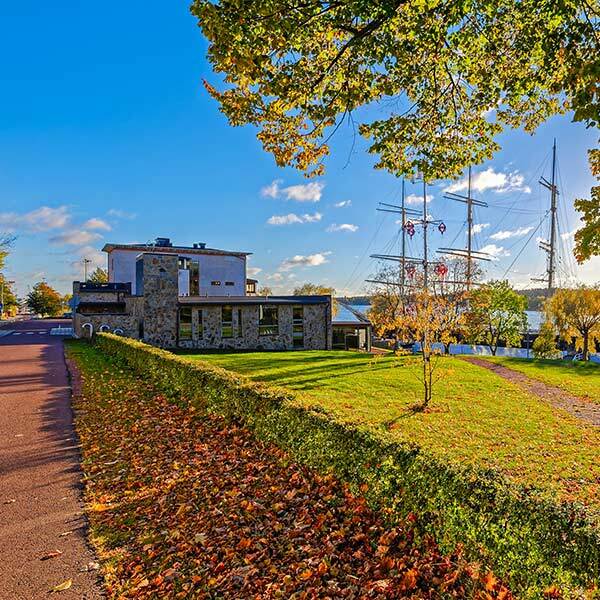 Get a glimpse into the history of this destination with a visit to places like Kobba Klintar, Åland Maritime Museum and Flying P-Liner Pommern Museum Ship. As a port destination, Mariehamn offers you lovely views over the Baltic Sea. Take advantage of the various boat tours on offer and explore these magnificent settings. Be sure to take pictures to share with friends and family back home! While Mariehamn does get busy in summer and winter, it is definitely the place you’d want when looking for a more relaxing holiday experience. Give yourself the well-deserved break from the rush that’s common to urban scenes. Summer (June – August) brings the most comfortable conditions, with moderate temperatures and low rainfall. This makes it the most popular time, so when booking accommodation, do so well in advance. You should additionally be prepared to pay higher hotel and flight costs. Between December and February (winter), temperatures reach subzero and rainfall peaks. The winter season also brings a large number of visitors for skiing and skating the frozen bodies of water. For the cheapest hotel rates and a more relaxed time exploring Mariehamn, visit between April and May (spring) and between September and November (autumn). During these times, you can get cheaper hotel rates and discover the capital of the Åland Islands at your own pace. The town of Mariehamn offers much in a small space, putting you near shopping, restaurants and the culture of this Finnish destination. The locals call it the ‘town of the thousand Linden trees’, thanks to the Esplanade, an avenue stretching between the two harbours of Västerhamn and Österhamn, lined with linden trees. 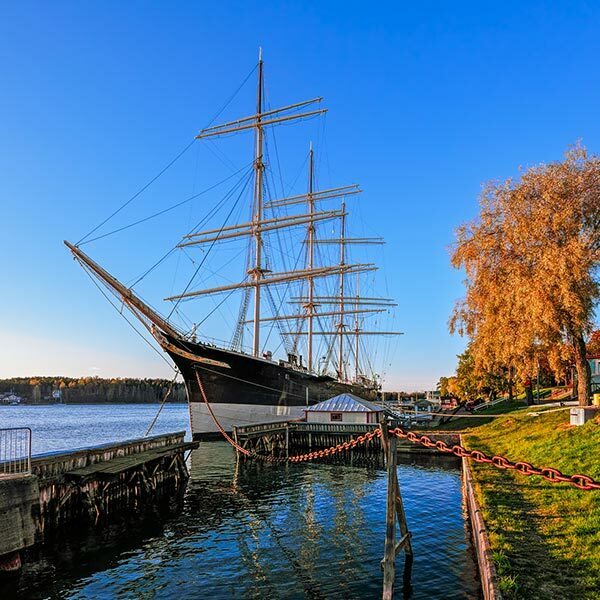 Mariehamn boasts a wealth of history in the shipping industry and you can learn more about it at venues such as the Flying P-Liner Pommern museum ship and Åland Maritime Museum. Get a deeper insight into this destinations past with a visit to the monument of the Russian Empress, Maria Alexandrovna, after whom the town was named. You’ll find more than just history in Mariehamn, with the numerous shops, restaurants and cafés in the Torggatan pedestrian precinct, in the centre of the town. Enjoy a stroll towards the town hall and admire the beautiful and well-tended gardens. Another scenic venue is the park of Lilla Holmen. Have a refreshing and rejuvenating experience at various spas, including Badhuset Mariebad, Lustans Ekologiska and Mjuk & Len Spa. Additionally, since Mariehamn sits on the coast, you can enjoy relaxing boat tours and even experience exceptional rides with ferry taxis and shuttles taking you around the Åland Islands and out toward Estonia and Sweden. Compare several airlines and book your cheap flights to Mariehamn online at Travelstart! Mariehamn enjoys a high level of safety, although it is recommended to remain cautious as you would in any other destination in the world. Since the city is situated on the coast of the Baltic Sea, you will need to watch out for ticks. Some travellers consume alcohol on the ferries between Finland, Sweden and Estonia, which has reportedly lead to crime. There have additionally been reports of pickpocketing; make sure to keep your valuables out of sight and in a secure place.